I’ve been quiet on the blog but noisy on the pavement preparing myself for this 26.2 mile journey. I crossed paths with a fellow runner named Rhonda during the Johnny’s Memorial Race. Later that evening she invited me to a group long run the next day. This running group is the best thing to happen to me since I became competitive with this sport. It’s ironic that I’ve only ran with Rhonda once during the last five meet ups but she left me in good hands with a friendly group from KY and IN. When I first looked over the 18 week training plan, I was thinking where in the world am I going to find places to get in 15-20 mile runs. God has a way of working things out! We run very scenic routes ranging from the 2nd street bridge through the Highlands to Southern Parkway through Iroquois Park. The group is training for the Indy Monumental marathon with the exception of the only male in the group, Mark who is doing the half. Karen, who I speak of often was kind enough to meet up with us today for her Chicago training. Our birthdays are just five days apart and I think that’s part of the reason we click so well. We talked about goals of running the Great Wall and Big Sur marathons. During the first run I was worried I would not be able to keep up, especially with all the talking. I feel myself getting stronger and building more stamina. The physique is looking A-1 too! Just saying!! One mistake I made was having a mindset that I could gobble down large portions of any foods I wanted due to this “I’m training for a marathon” ego. The scale slapped me in the face with a few lbs so I went back to the lean eating with weekend splurges. Speaking of food, I have been craving summer squash, pineapple, beans and berries. Cucumber water is one of my favorites and it helps to know people with gardens. They stay hooking me up. 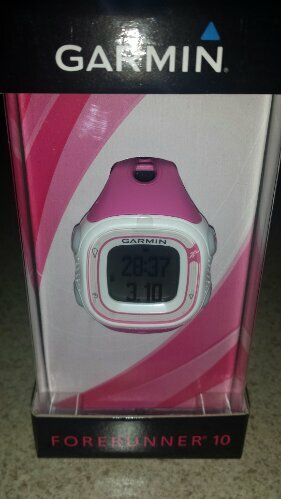 I finally hooked myself up with a pink Garmin Forerunner 10. I also picked up a pink foam roller from TJ Maxx. I’ve only used it a few times but it definitely helps. Last night I found a Nathan Trail Mix Hydration belt. I wanted the pink and green Speed 2 but the gray Trail was half off retail. 6 weeks down and 12 more to go. I’m taking it one day at a time. 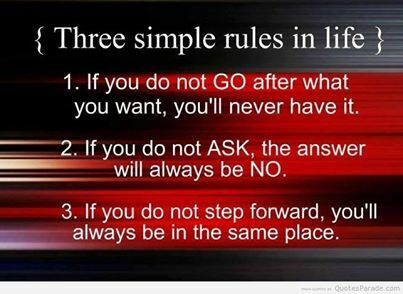 We never know what life will bring us. Let’s hope for the best! I had such a blast running with you guys on Sunday. What a fun group. I also have had food cravings for berries and melons and veggies with hummus, believe it or not. I allow myself one small treat per day, save on the weekends where I allow myself a bit more because I was good throughout the week. Thanks for the invite. Loved running with you and talking about anything and everything…and future races we can look to do together. Thank you for joining us! Positivity breeds positivity! Also training for MCM. Good luck in your training! Thank you and same to you Martha!